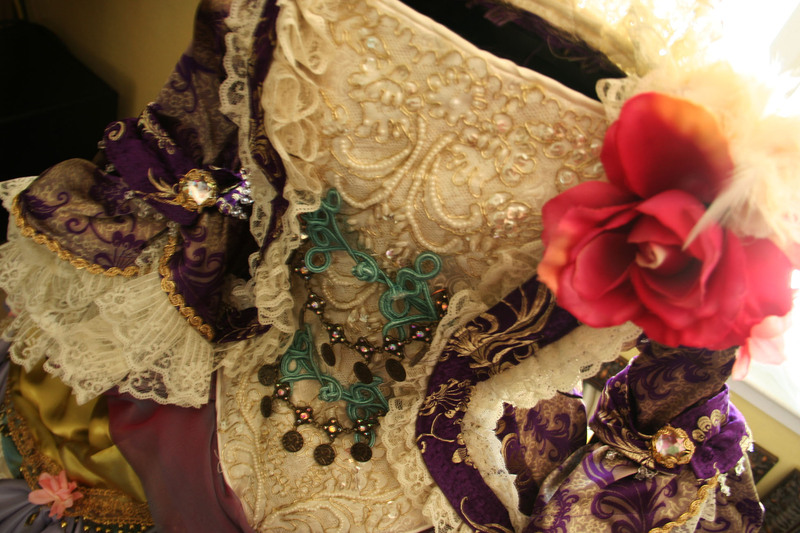 Besides Painting, Photography, and film, I’m also into costume design and costume construction. I designed my own wedding dress, which was inspired a bit from the Movie Marie Antoinette, even though technically the structure of the dress was more 1880s with the bustle in the back instead of the sides. Below is a photo of me in that dress. 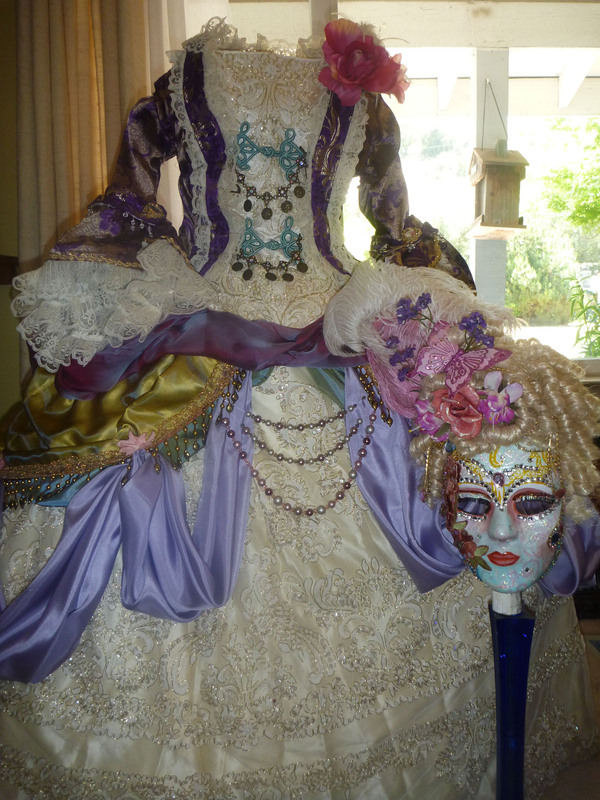 Below are alterations/additions that i’ve done to the wedding dress in order to wear it again at Le grand bal masqué de Versailles in France at the end of this month. I believe it’s a shame to wear such a beautiful dress only once, which is why I went to great lengths to reuse it again. The additions I did are not actually attached to the original dress so as to preserve the original design. I’ve added an 18th century panier skirt under the dress, a second over skirt, and a coat. Oh, and I also made the mask which is on a stick in a tall vase. I can’t wait for the ball! 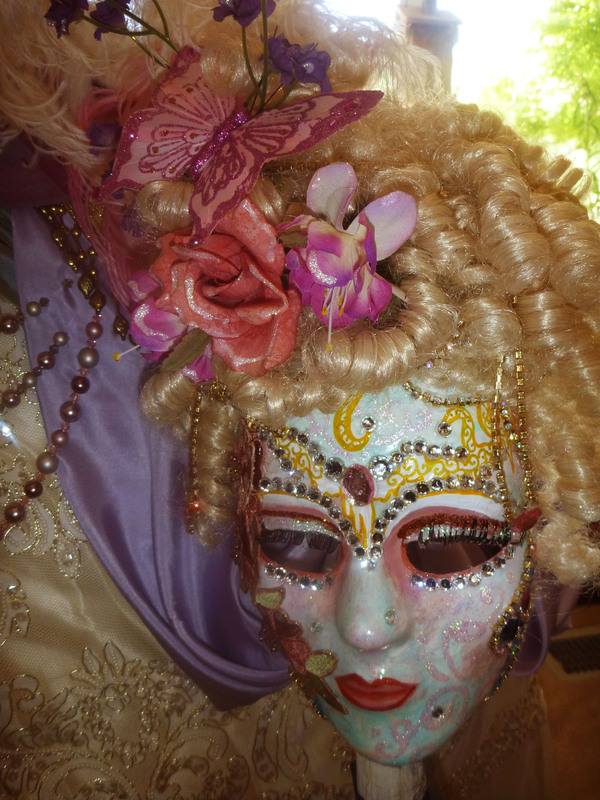 This entry was posted in Art, CA, Europe and tagged 2012, Art, Costumed Ball, Costumes, France, Jennifer Jigour, Le grand bal masqué de Versailles, Marie Antoinette, Wedding Dress. Bookmark the permalink. Gorgeous, gorgeous and fabulous! I wish I were going!